What I didn't realize is how the ink could look so different, depending on the pen & paper used! 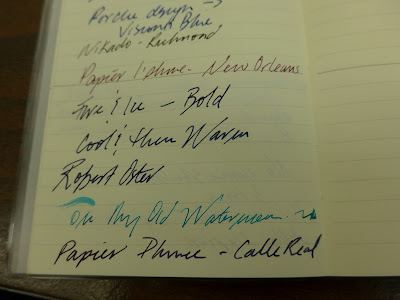 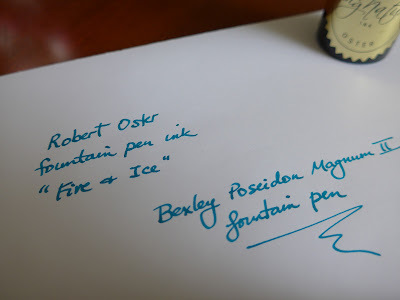 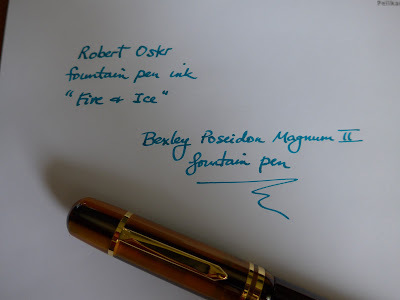 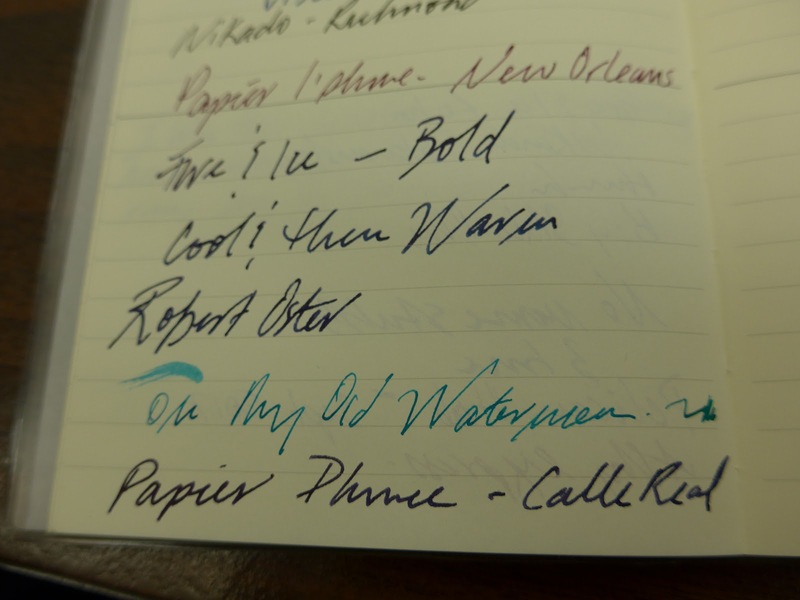 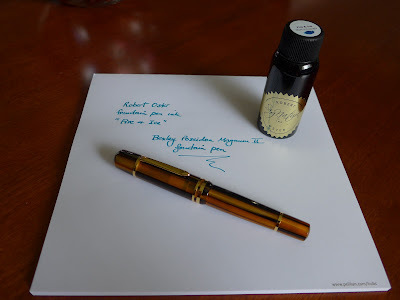 Apparently, the red sheen really shows well when the ink pools on higher-quality paper... but even on cheaper paper, it's a lovely turquoise ink. Many thanks to Joe & Sara of Nikaido gift shop in Steveston (Richmond) for this cool new ink!